Happy Friday, dear friends! 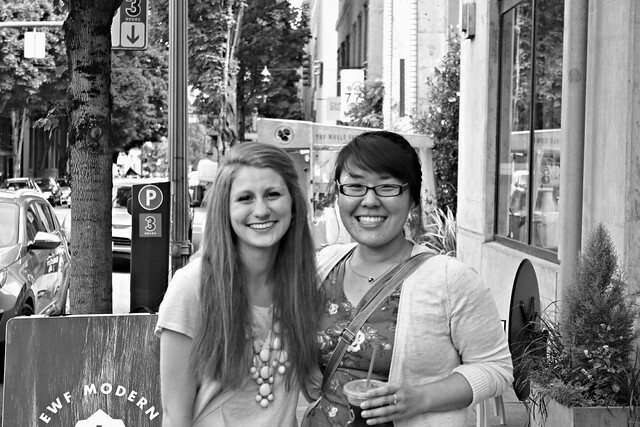 Last Friday, I got the chance to meet up with a dear blogging friend (post to come!) and I still cannot believe I had the chance to meet face-to-face and enjoy a coffee date (minus the coffee for this girl) with her. I'll tell you all about it and I'm sure most of you know about it thanks to Instagram, but I just had to let you in on that fact because, well, it was awesome. Anyway, here's to the weekend and some fun links, too. Enjoy! On making decisions in the dressing room. So grateful for this read--especially since nothing seems to look good on me while in the dressing room! And on overcoming the fear of not being good enough. If there's one quote you need to read out of this entire article, it's this one: "When you find yourself comparing your behind-the-scenes to the perfectly-filtered highlight reel of someone else's life, remember that every one of us has our own 'behind-the-scenes': private struggles and missteps and insecurities." This girl's freebies knock my socks off. Go print them all now! One of the sweetest stories ever. Adoption has had my heart since third grade and it's still got a firm grip. How cool are these gold(!) temporary tattoos? I'll take this outfit for the fall, pretty please. And an adorable family photo session. The backlighting! The smiles! The poses! So many great things about those photos. 5 tips for making the fluffiest pancakes. A beautiful Canadian mountain elopement. I'm not a huge fan of being the center of attention (or crowds!) so as I get older, elopements sound more and more intriguing. How awesome is this DIY headboard? I mean, doesn't it look like real wood? 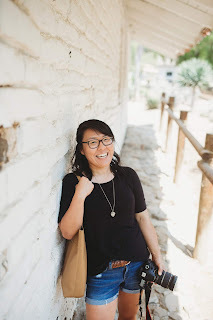 Why do you follow blogs? And why you don't have to quit the internet. I don't know about you, but I've noticed a big trend in bloggers leaving the blogger scene (a Blog Talk post to come!) and I think this is why I want so many bloggers to just keep blogging--and it's only because it is so worth it. A fun floral first birthday party. Because sometimes we need to open our eyes and look at life from a new perspective. Um, so you need to check out this wedding. Only because it's way too fun not to share. And some encouragement for this weekend. p.s. I have LOVED reading your posts and watching your vlogs for this month's The Circle! Keep 'em coming, okay? I want to hear your voice and see your closets! Aren't blogger meetups the best? I love that this random hobby I picked up years ago has led to great friends both virtually AND in real life. Fun. And I've got 1st birthdays on the radar right now of course - that one was so cute! Loving that printable link too! I need to decorate my apartment pretty soon, and these are perfect for that! And I LOVE Danielle's printables--I honestly cannot believe she lets us print them for free! I'd love to see how you hang/arrange them in your apartment! Oh my goodness, I was SOOOO nervous (I'm writing a post about the meet-up and you'll read about it then). That said, you are not alone! I pretty much could not sleep the night before, haha. I love that you guys got together!! How sweet! :) Those gold tattoos are so fun! That flower party is so sweet, that little girl looks so happy! That wedding with the melty bead centerpieces?! So funny! I just love a good melty bead creation. Aww. That picture is too cute! I wish you didn't live so far away! And I LOVED the melty bead centerpieces, too! It was such an awesome idea! Same! I see so much inspiration for photoshoots online it's not even funny. :) I definitely want to do that too someday! And you're so welcome for the link! Your wedding was too cute and wayyy too much fun not to include in the list. Yay! I love these posts! I love Caroline!! She is so sweet and I love that post!! I haven't gone clothes shopping in forever and that is one of the biggest reasons (nothing fits in the dressing room!) I love that quote!! I have been feeling a bit of comparison lately and trying to put blinders on and not pay attention to it, but by golly it's hard!! Those metallic temporary tattoos are SOOO RAD!!! I want all of them!! Those family photos are soo cute and I LOVE her dress!! The bright and vibrant cobalt and the shoulder piece! That is so fun to look at the same place in different times/seasons! Girl, I so easily relate to the dressing room fit. I haaaaate going into dressing rooms because nothing ever looks good when I'm in there. yay for sharing!! :) You are so fun!! !